In this model there are 3 unique modes: The Holiday button allows you to reduce the temperature for several days while you are away. The Party button changes the temperature for the next 1 - 23 hours, while the Day Off button copies the week’s schedule. Programming the device can seem quite tedious. The Honeywell CMT927A1049 looks modern and has a lot of features making it one of the best deals available on the market. It consists of a receiver, which is connected to the heating system, and a wireless controller, which is capable of receiving a signal at a distance of up to 30 metres, and is compatible with most systems and platforms. The Control Unit here uses advanced TPI control protocols, which allow you to achieve the optimum temperature, minimising the number of switching on and off of heating appliances or a boiler - this allows you to significantly extend the life of the equipment. Some users complain about the inconvenient interface of the application. This model boasts a built-in Wi-Fi module so that it can be controlled using a smartphone or tablet on iOS or Android. Just install the original application, and control the microclimate of your home from anywhere in the world. 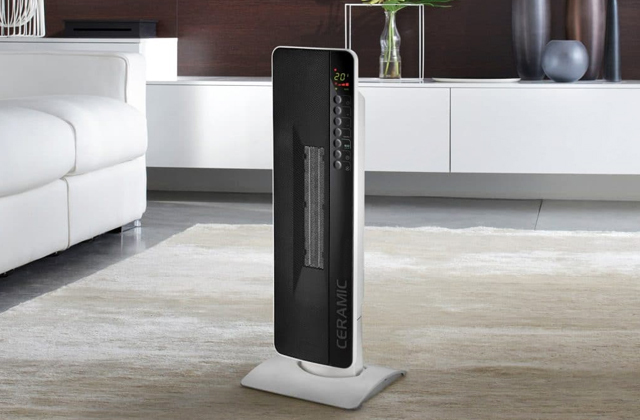 Although the device is powered from the mains, there is still a built-in battery inside: it is needed in case the power is lost for any reason, so it will continue to maintain the desired temperature in the room and not lose the current settings. Two bright green lights may be a little annoying in the dark. 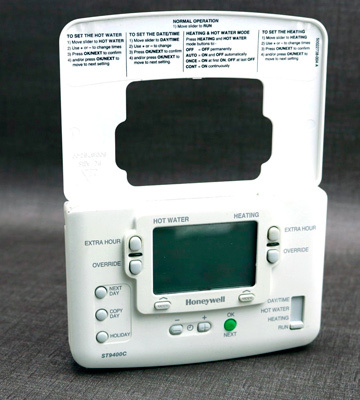 When creating this model, Honeywell managed to combine low cost and amazing functionality: 7-day programming allows you to fine-tune the work of the heating system, and the LCD screen has line-of-text (LOT™) to display informative prompts. Thanks to the built-in ECO mode, you can significantly reduce energy costs: its activation keeps the room temperature comfortable for a stay. 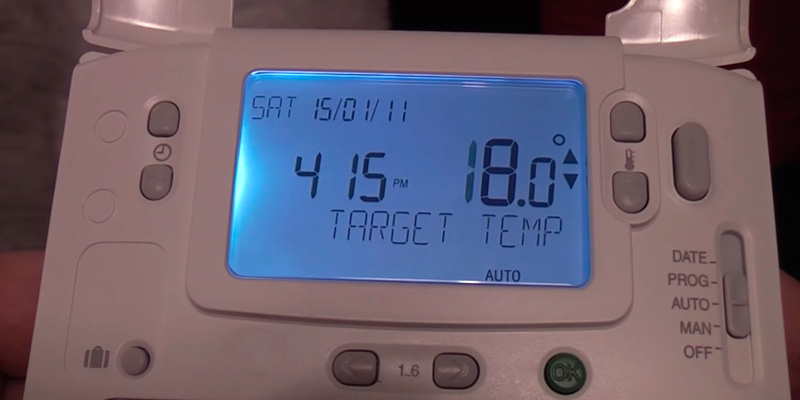 And the 'OFF' setting allows you to set a specific time for the thermostat to heat, acting as a timer. The display has no backlight. The tiny dimensions of the thermostat at 9 x 9.2 cm make it the best option for placing in confined spaces, and thanks to the classic design with 4 buttons, it will successfully fit into any interior. A practical model at an affordable price. Despite the lack of buttons, the device can operate in two modes - only cooling and cooling + heating. And the choice of the one you need is achieved by changing contacts. 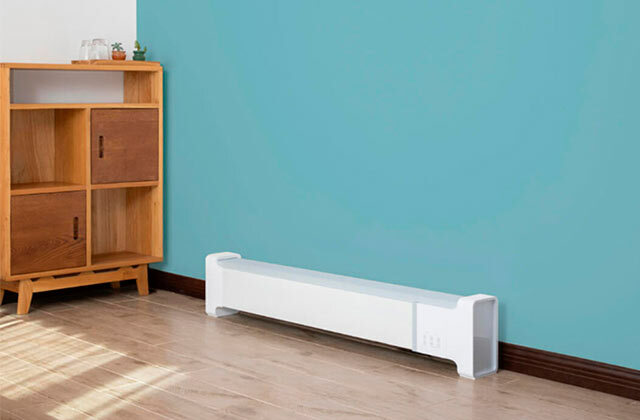 Double insulation eliminates the need to ground the thermostat and simplifies the connection. Temperature marks tend to fade over time. This budget mechanical thermostat favourably differs from most models with the highest accuracy since it implements an innovative Dual Diaphragm sensing element and therefore will strictly adhere to the value you specify. People love devices with advanced technology, and thermostats are typically no exception to this rule. Having a thermostat that takes advantage of many of the latest technological features is a must for many, and anything less simply won't do. This includes having access to features such as wireless connectivity and remote programming, as these features help make a home's climate control much more convenient, meaning one less thing to worry about throughout the day. 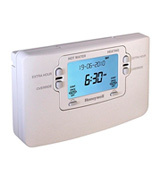 The Honeywell CMT927A1049 7-Day RF Chronotherm Wireless Programmable Thermostat is an advanced thermostat that includes many of the features that discerning people want or need in their home thermostat. This thermostat features a large LCD screen using the LOT Technology that helps aid greatly in readability, meaning that you can view your home's climate information at a glance without having to study the display. The thermostat is fully programmable, with a 7-day schedule featuring 6 different temperature settings per day, letting you completely customise your home climate at any hour of the day. 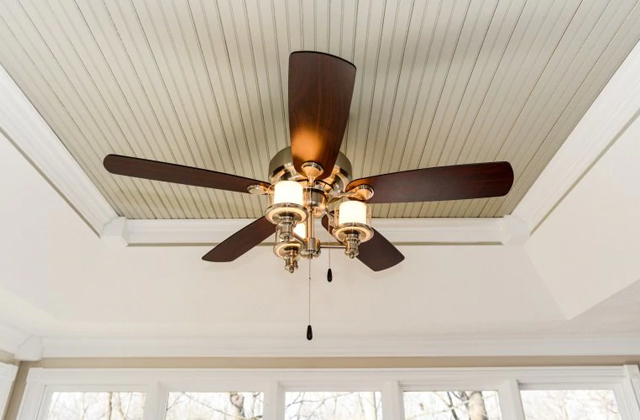 Three different climate modes also let you easily set the thermostat for certain situations with the simple press of a button, and its wireless connectivity allows you to control your HVAC system from any convenient location. For anyone who values these features in a home thermostat, this model offers the complete package. A problem that many people have encountered with many different models of home thermostats is that they can be hard to read. Older dial-based thermostats tended to make things difficult in pinpointing an exact temperature setting, and even so, tended to be highly inaccurate. It has been quite common for some people to see their home's temperate vary a few degrees above or below what they have their thermostat set to, resulting in a guessing game of what temperature to set their thermostat to in order to achieve the desired results. 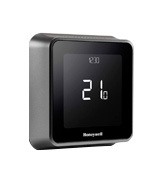 The Honeywell Lyric T6 Wired Smart Internet Enabled Thermostat was made with accuracy in mind. This highly advanced thermostat features a large touchscreen display that is both easily readable and extremely intuitive to use. The characters on the display are large, making them readable from a distance, so you can get the information about your home's climate at a simple glance. 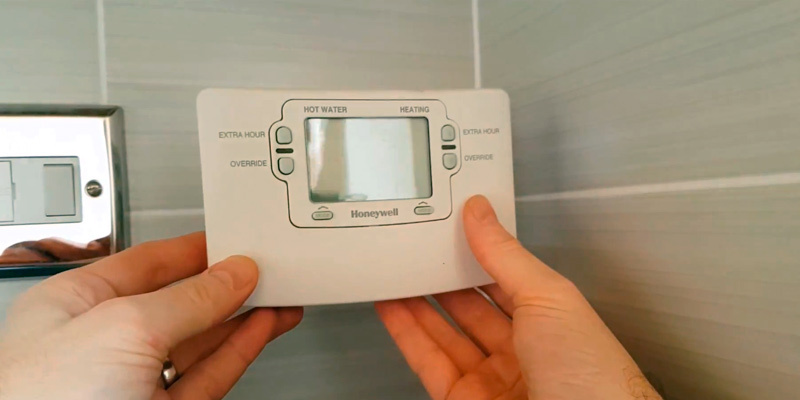 Other highly advanced features are included in this model, such as full programmability, wireless connectivity with remote control through the Honeywell Home app, and even advanced TPI protocols that help extend the lifespan of your heating and cooling system. With the wealth of features combined with the high accuracy of this home thermostat, those needing the best in home thermostats will find what they need right here. Those who have lived with simple home thermostats know much of a pain they can be to keep up with. Having to manually set the temperature on a daily, and sometimes hourly, basis can be most inconvenient. For those who are looking to upgrade to something better, Honeywell has a great programmable HVAC controller that is just what you need. The Honeywell ST9400C 7-day Electronic Programmer lets you take control of your entire home HVAC system, allowing full programming for both your air conditioning and heating. The programme settings allow for a full 7 day schedule, as well as a 5/2 schedule, giving you an extreme amount of flexibility and control in how you customise your home climate. The large LCD screen features a backlight for night reading, and the included LOT technology allows for an easily readable interface that is simple to programme. There is even a large time display that automatically changes during summer and winter hours, meaning that you don't have to worry about manually changing the time twice a year. An included battery backup capability even lets it operate during power outages, so there is no need to worry about losing the scheduling. Anyone who wants to upgrade to a fully programmable thermostat system will find plenty to love here. 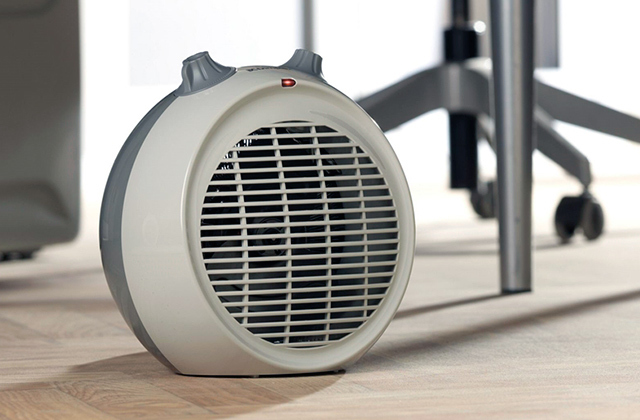 In some climates, simply having a way to control your home's heating is ideal. 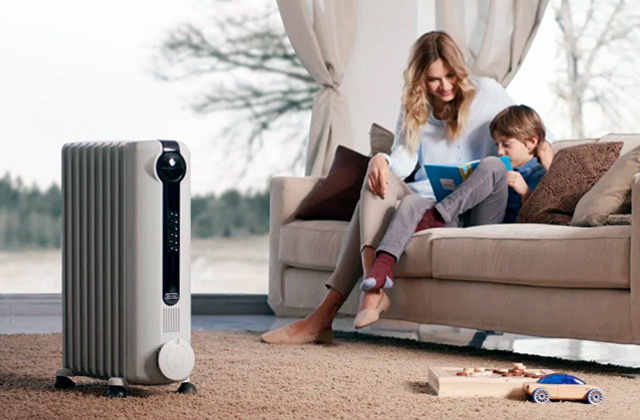 In some areas in the UK, for example, air conditioners are rarely needed even in the middle of the summer, so having a fully automated home air conditioning system isn't a necessity. However, during the winter, it's always a good idea to have some kind of control over your heating, and the Honeywell DT90E1012 Digital Room Thermostat is a great product for this purpose. 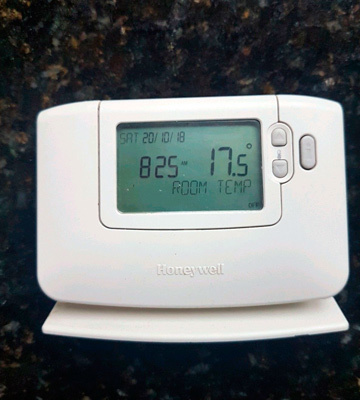 This digital room thermostat gives you full control over your home's heating system, and has very simple and intuitive controls for setting your room's temperature to the desired setting. 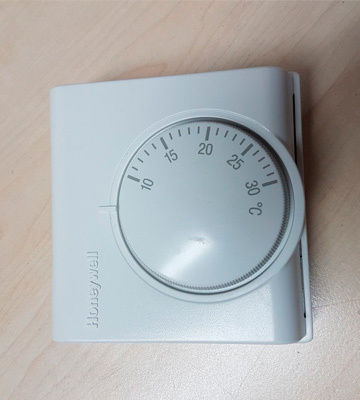 Although this isn't a fully programmable model like some of the more expensive thermostats available, it does give you a degree of automation with it's ability to use the "OFF" function to act as a heating timer. 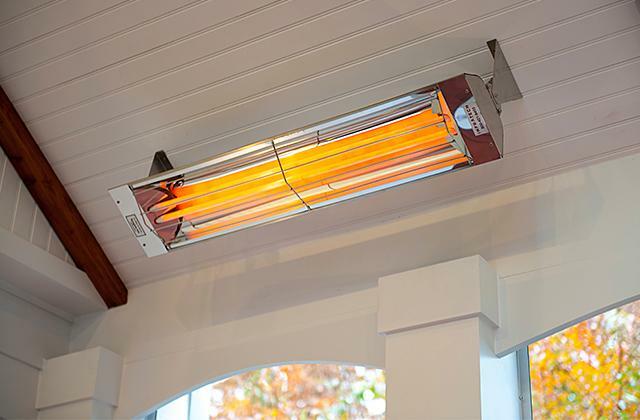 This lets you set the heat to run for only a specified amount of time, allowing you to enjoy the benefits of both your home's heating as well as giving you the ability to save on energy costs. The unit even allows for battery backup for the device to work in case of a power outage, with battery life of up to 4 years. Anyone who wants a simple thermostat with some advanced functionality to control your heating will find this model to be right up your alley. Many people don't have the need of a high tech fancy home thermostat. For homes with simple HVAC systems installed, a simple thermostat will do, and preferably one that is both accurate and highly reliable. For such people, the Honeywell T6360B1028 Room Thermostat is a perfect fit. This simple home thermostat does not rely on having a fancy touchscreen display to do the job, which can sometimes add unnecessary complexity to a device. Instead, you can simply set the desired temperature with the turn of a dial, and the thermostat will utilise its built-in Dual Diaphram sensing element to ensure that your room is as close to the desired temperature as possible. This device is both easy to use and to install. Most users have reported that it is extremely simple to install, even for a novice, with installation taking only a few minutes at most. 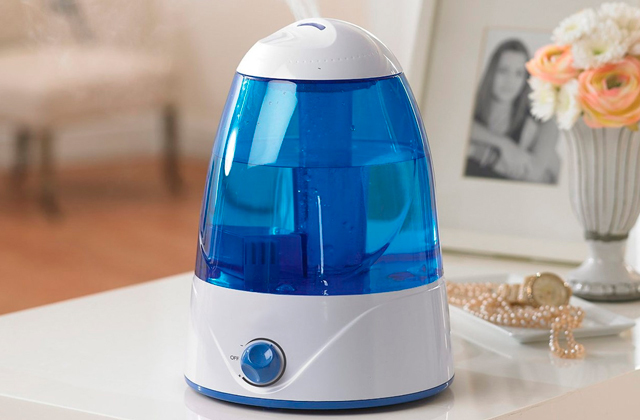 The attractive styling of the device makes it look at home in any home interior, and the small footprint makes it ideal for cramped areas without a lot of extra space for a large interface. Anyone who wants a highly reliable thermostat that is simple to both install and use will find this model to be more than adequate for their needs, all at a very affordable price. 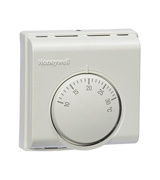 What Is a Honeywell Thermostat? Home thermostats are quite common, being found in virtually any house, apartment, or office building that features central air and/or heating. Since almost all modern homes and buildings feature central climate control, this makes the thermostat an essential part of everyday life. Being able to adjust the climate to one of your own choosing is one of the great comforts that we have, and having a great thermostat for this purpose helps make our lives easier. Honeywell is a large, international conglomerate company that creates products in many different spheres, ranging from aerospace to security to home appliances, and they are well known for making high-quality, reliable products in whichever sphere they participate. Among those high-quality products are home thermostats, which are made to leverage the advances in technology to help make a home or office quite comfortable to work or live in. Some of their thermostats often may not have all of the bells and whistles of other competing products, but they more than make up for it with their high degree of quality and reliability, ensuring problem-free operation for years to come. 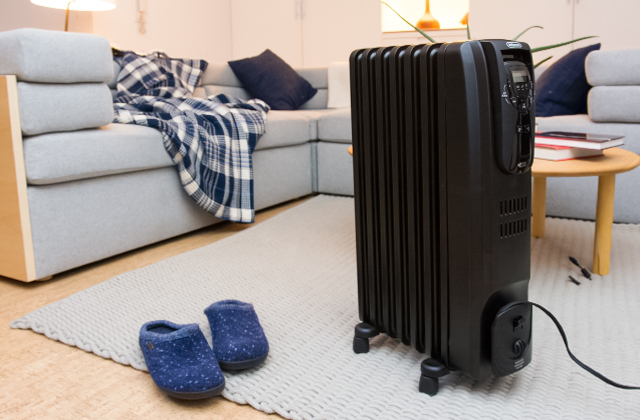 If you lack central air conditioning in your home and require something that is portable, then take a look at our reviews of five of the best portable air conditioners in the UK. Home thermostats are meant for the control of centrally installed climate systems, but they can vary greatly in the number of features and options that they have. 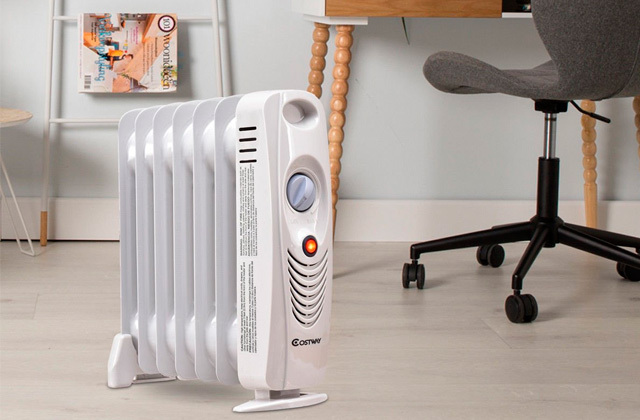 While many older ones had few features beyond simple temperature controls, many of the more recent models feature a huge list of options in addition to their standard functions. However, not all thermostats carry such a huge list of options, as many simple devices still exist that have few extras outside of the ability to set the desired temperature. Whether you get a simple thermostat or one loaded with features will depend entirely on your own desires for a home thermostat. Before shopping for one, though, you should be aware of which options exist and to know what to look for. One of the most important aspects to a home thermostat system is the control interface it uses, as this is what users will use to interact with and set the device. 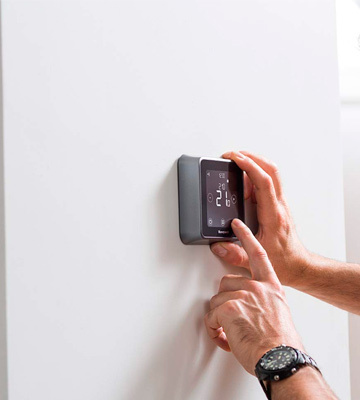 For simple thermostats that have few features, the control interface will most likely consist of just a few buttons used to cycle through the options, but other higher-end devices will feature touchscreen controls that have tons of options. The type that you will want, of course, will depend entirely on your tastes. 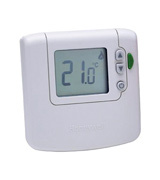 Another important factor to consider with thermostats is the power supply used for them. 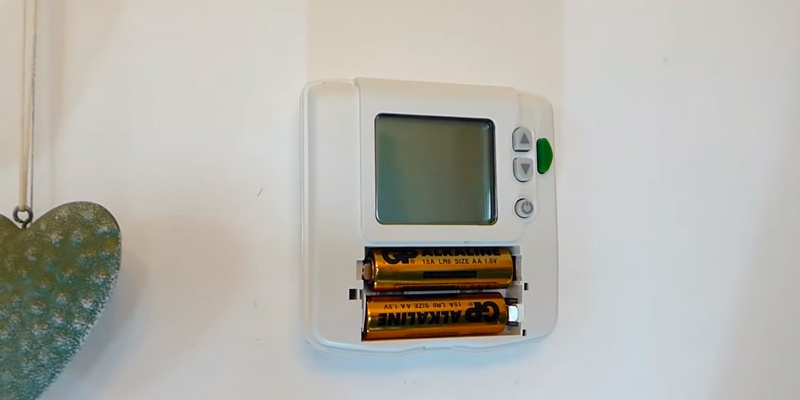 The vast majority of thermostats use a connection to the c-wire for power, but some may also include the ability to operate from other power sources, including from batteries. If you are in doubt about how to power the thermostat, getting one that supports multiple power sources would be ideal. The HVAC compatibility of the thermostat is just as important as any other factor, as ideally the thermostat is what is used to configure and operate the HVAC system. For whichever thermostat you decide to purchase, it is best to ensure that it is fully compatible with the HVAC system that is installed in your home or office. The included features of a home thermostat may be just as important as any other consideration, depending on what you want in your thermostat. 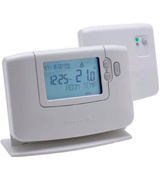 While some thermostats are very simple devices with few to no options outside of direct temperature control, other higher end models tend to include a ton of features that add to the thermostat's usefulness, including features such as remote control and the ability to program it to operate at specific times. For those who want a fully automated experience, getting a programmable model would be ideal, while for others, a simple model will be sufficient. Smart thermostats are far advanced compared to many of the thermostats typically found in homes. Many of the features that they now contain are ones that simply weren't possible before the Internet came along. However, now that we have access to virtually any information at our fingertips, why can't our home thermostat have access to the same? In many cases, they do have access to information that is quite helpful to us, especially information regarding the date, time, and updated weather conditions. Many smart thermostats also have some advanced automation abilities that many users aren't aware of, though. For instance, the ability to program your thermostat to only work at specific times is an extremely important feature, as not only does it give you the convenience of not having to manually set the conditions how we want, but it can also help save you a bundle on energy costs by not working during the times where it's not needed. Here we will give you some tips to get the most out of the programming feature of your new smart thermostat so you can partake in the tremendous value that it offers. 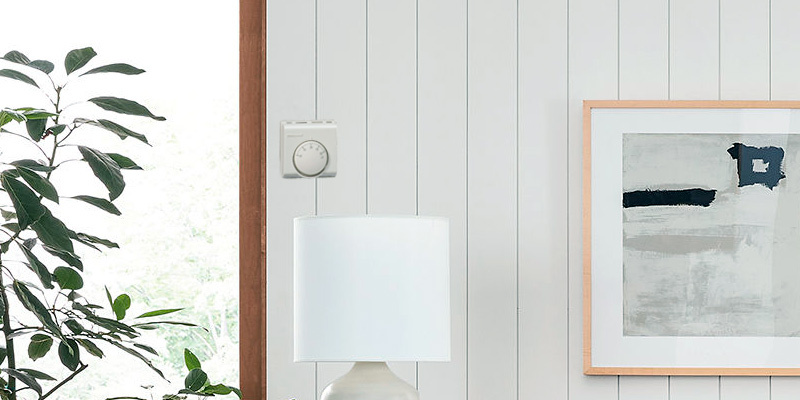 Almost all smart thermostats let you program your conditions for up to seven days in advance, or even to work on an automatic weekly schedule. This is a great feature that can help you make life more convenient as well as save you a lot of money on your energy bill. The key to getting the most out of it, though, is to stick with a consistent schedule. During the day, most people are working, and thus, with an empty home the thermostat usually doesn't need to operate. 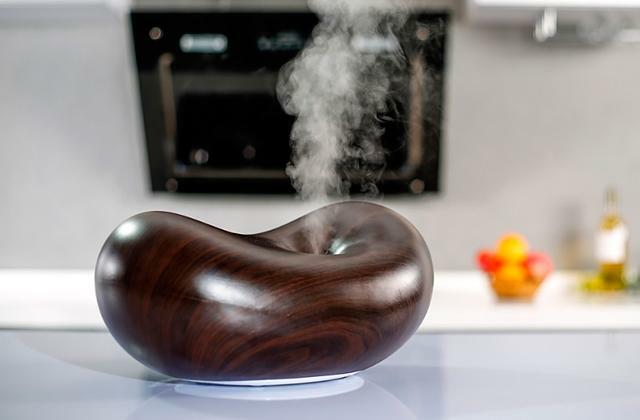 Of course, this can leave the house either hot or cold at times during the day, but if no one is there, what difference does it make? Programming the thermostat to keep all energy use at an absolute minimum during the day is a great way to help cut down on that electric bill during the summer. Unless you have pets or children at home during that time, consider programming it to not operate at all while you are at work. It's also a good idea to take advantage of night conditions. For example, during the summer, the outside climate is usually at its nicest at night, where it is not so hot. Consider programming your thermostat to either use a minimum of cooling or turn off completely while you are sleeping. Take advantage of the ability to open windows if you can if it leaves your home still feeling a little stuffy. After all, clean, fresh air is free, and it doesn't cost any money to maintain it if you can get it through an open window. The above tips are great for during the summer months, but what about the winter? Heating costs can be just as much if not more than electricity costs, so of course it makes sense to save on your heating costs when you can. 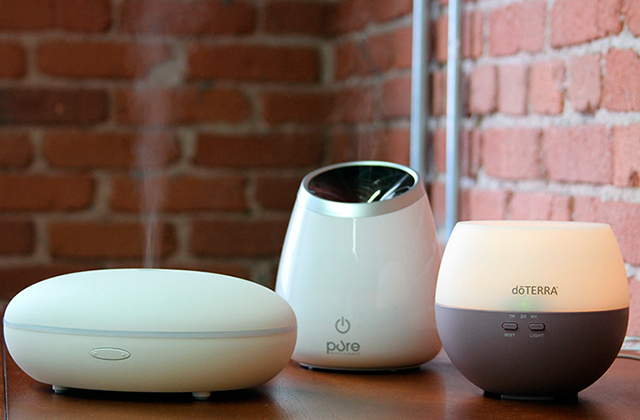 One of the best ways to do this is to rely on more natural methods of staying warm. 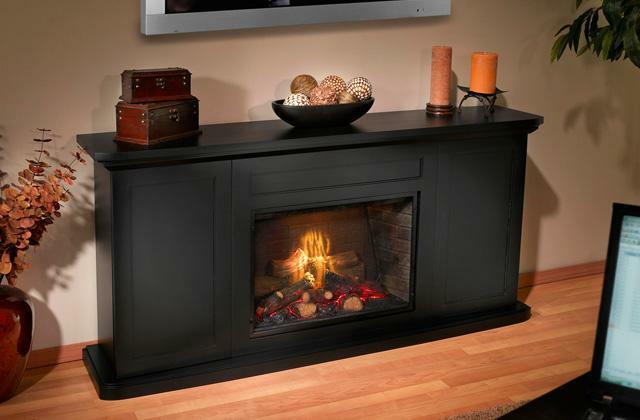 If you have a fireplace, then perhaps you can try taking advantage of it in order to keep the heating costs down. Not only does it help with that, but it can help create a nice, cosy atmosphere that helps make your home feel a bit more comfortable for you and your family.